The more you play around with Arduino circuits for your Atari8 the more likely it is that you will be soldering stackable header pins onto prototype boards. The better the solder job, the easier it is to stack your boards. No mater how many times I try I haven't seen an improvement in my skill set. At lease not until I built this LEGO fixture to hold the pins perpendicular to the board while soldering. 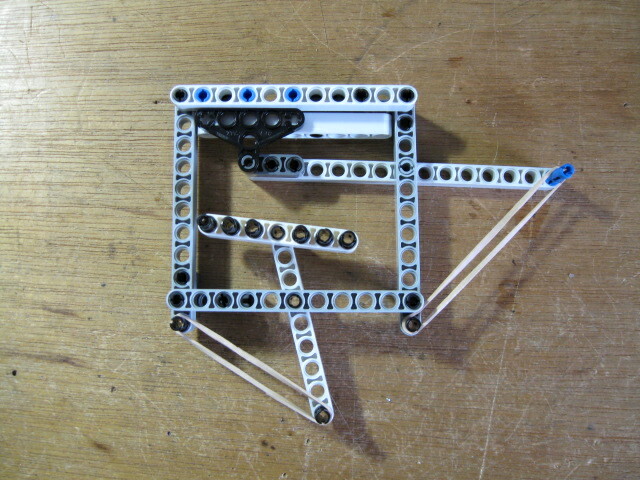 The fixture uses LEGO Technic parts. They are all standard parts. 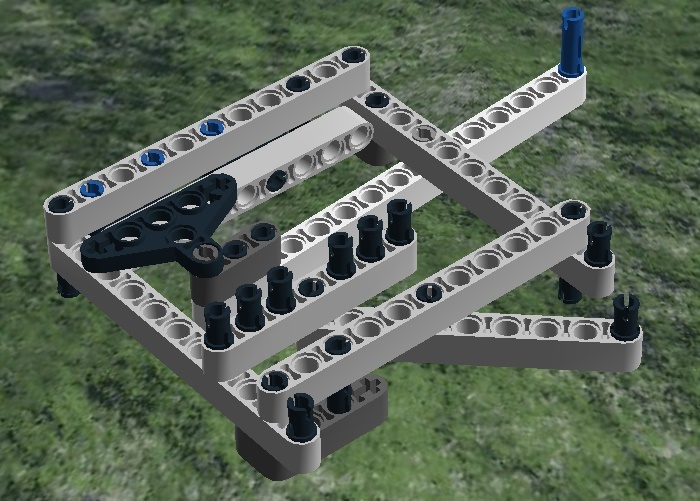 Attached is the build instructions made using LEGO Digital Designer(LDD) software. LDD produces an HTML file with a folder of supporting files. I tried using Microsoft Edge to display the page but was unable to view it. Internet Explorer displayed the instructions and parts list. You will need two rubber bands to complete the build. Make sure the pins are seated along the side beam. The photos show the pins in place, with and without the PCB. I noted that it is easier to place the pins in the board before mounting them in the fixture. Just one minor suggestion. 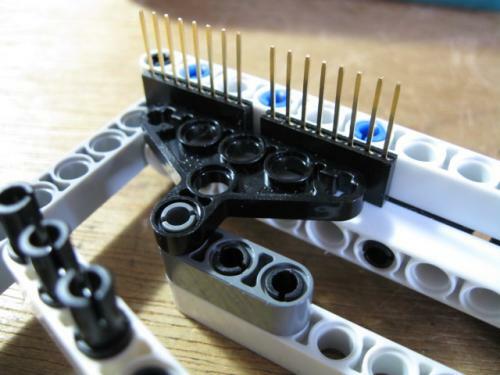 If you notice your melding the LEGO parts, you may want to consider getting a lower wattage soldering Iron. Good job! 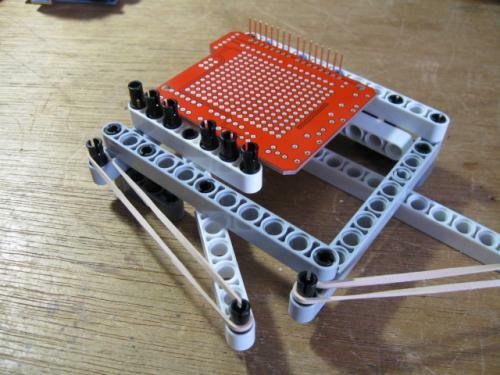 A soldering jig made from LEGO.